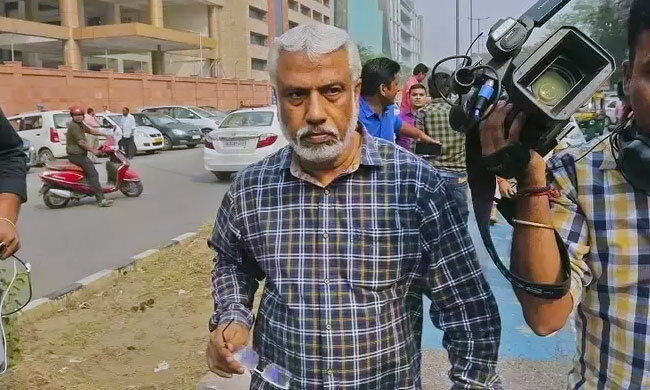 The scuffle within the Central Bureau of Investigation (CBI) continues, as DSP Ajay Kumar Bassi has now approached the Supreme Court challenging his transfer order, issued by the CBI interim chief Nageshwar Rao on January 11. After taking over the charge in the intervening night of October 23 and 24 last year, Mr. Rao had cleared transfer orders including those of the officials who were probing an alleged corruption and extortion case against CBI Special Director Rakesh Asthana and others. He had approved the transfer of two more officials of the Joint Director rank on January 3. Several of these transfers were then withdrawn by CBI Director Alok Verma, after he rejoined. However, the transfers were effected again after Mr. Verma was unceremoniously sacked by a high-powered three-member committee led by Prime Minister Narendra Modi on January 10. Mr. Bassi now contends that the impugned order is vitiated by mala fides and non-application of mind. He asserts that the order is violative of the Supreme Court judgment in Alok Kumar Verma vs. UOI & Anr., which gave him liberty to make a representation to the officials regarding his transfer. He further contends that while there were cogent reasons for Alok Verma's transfer, there were "absolutely no allegations whatsoever" against him that warranted such an extreme action. Mr. Bassi then claims that "he is being victimised by the present 'acting/ interim' Director-CBI - Shri M Nageswara Rao/Respondent No.2, who represents certain elements within the CBI, who did want the Petitioner herein to conduct a free and fair investigation in the Asthana FIR. It was Shri M Nageswara Rao who had passed the infamous transfer order dated 24.10.2018 of the Petitioner herein and it is again the same Shri M Nageswara Rao at whose behest and direction the instant impugned transfer order has passed, in utter disregard to the judgment of this Hon'ble Court in Alok Verma supra."